"Finding a climber who perceives bouldering as a moving meditation, or one who values form and style far beyond difficulty, is a daunting task . . . bouldering needs its own analytical literature. In this book, Francis Sanzaro takes a significant step in that direction." To read more about the book and the author, visit the Stone Country website where there is a preview of the book and an interview with the author. 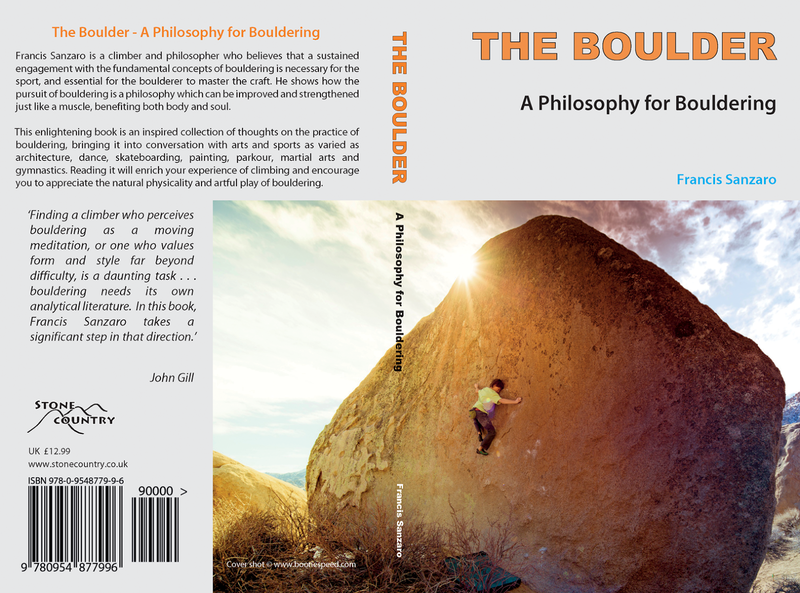 For UK boulderers (only) the book is available at a special website price of £9.99 plus PandP (it retails at £12.99), which is cheaper and faster than Amazon! Sounds great. Are there plans for an e-book version? Just read the first 20 pages of the book. Wow--I didn't know anyone was out there writing like this! It seems very very interesting. I will definitely get myself a copy.